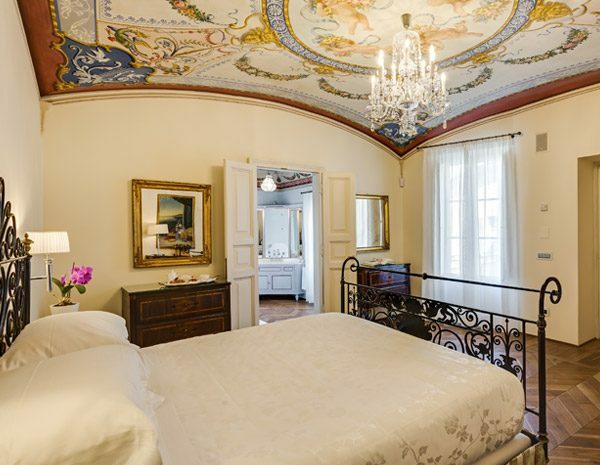 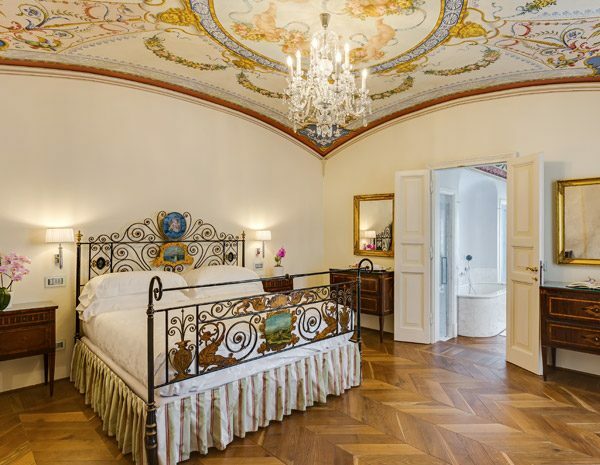 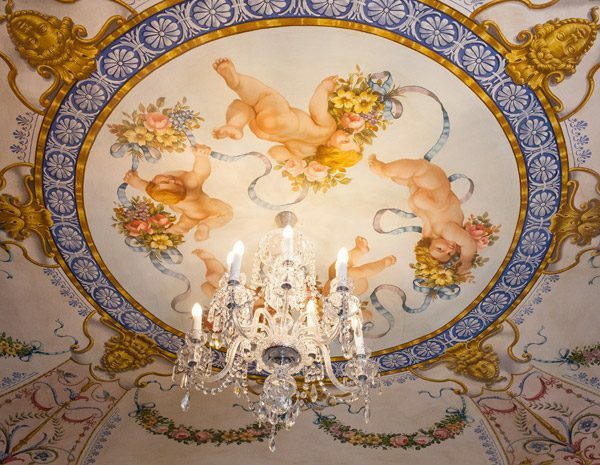 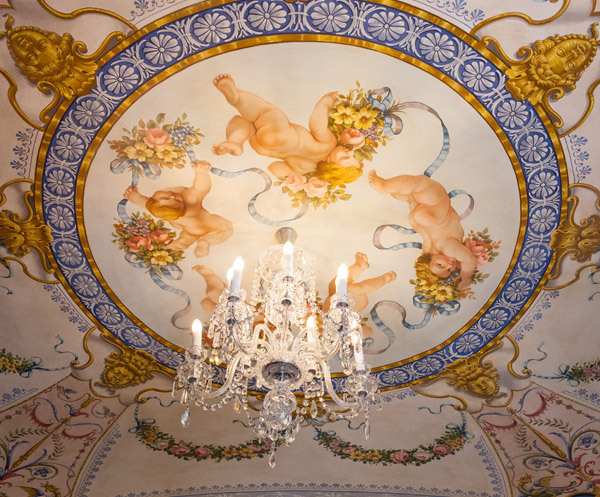 The angels that give our Relais its name are depicted on the romantic frescoed vaulted ceiling of the Diamante (Diamond) Suite, the most prestigious one of all. 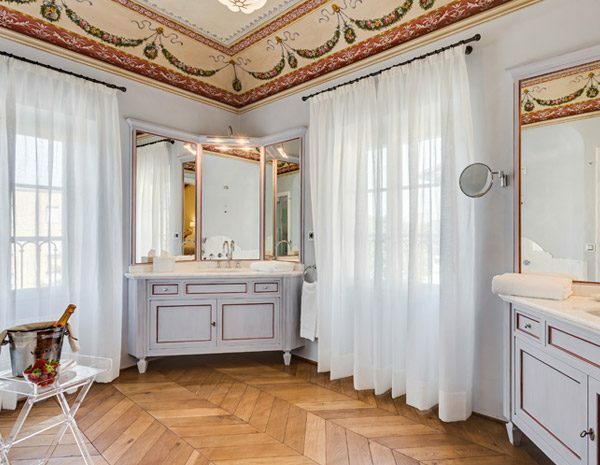 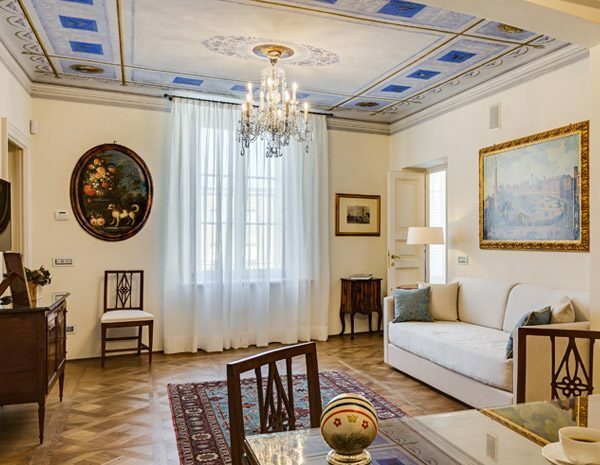 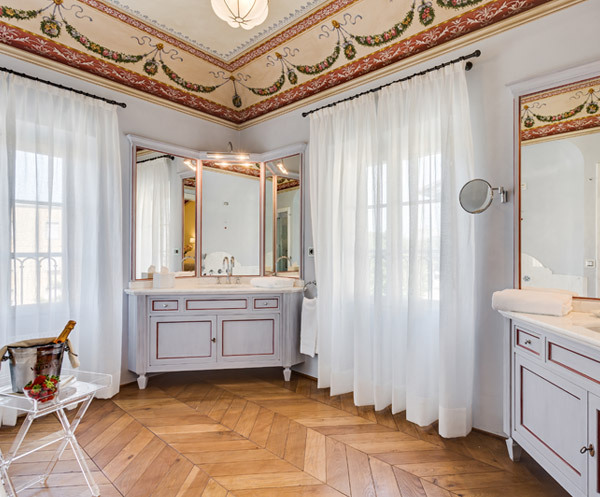 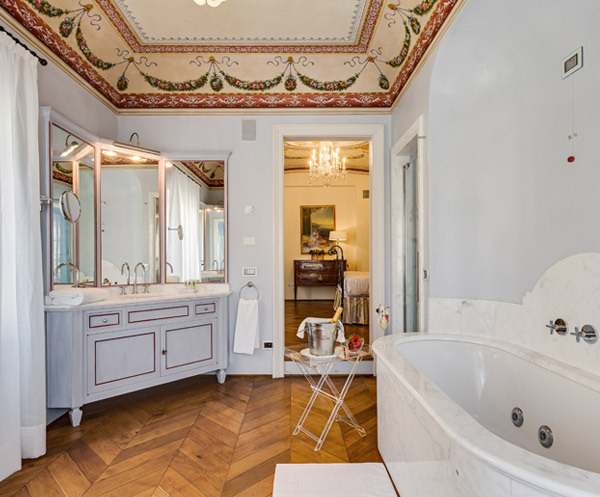 This large suite, consisting of three luxurious rooms plus a private terrace, dominates the second floor of the Relais with an elegant and versatile space, capable of welcoming and meeting all kinds of needs during your stay. 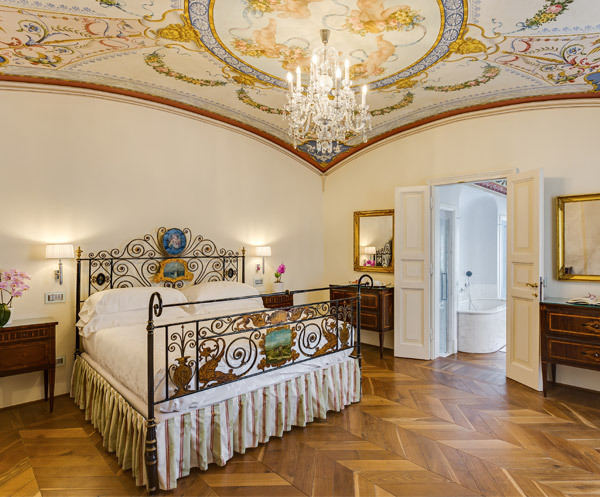 The master bedroom features an antique wrought iron “pastoral” bed, and it is elegantly furnished with a spacious walk-in closet and antique chests of drawers. 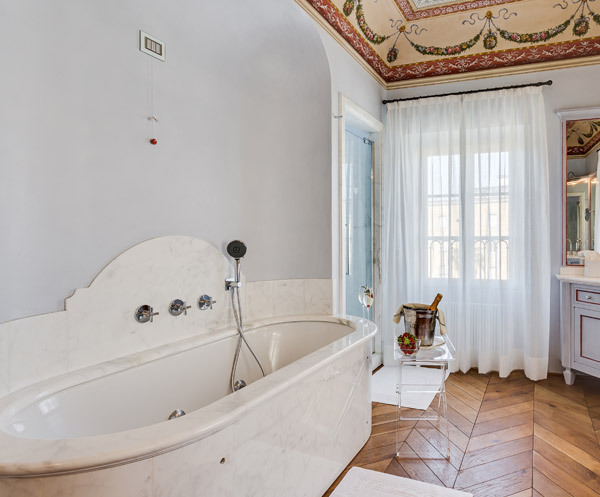 When staying in this suite, it will be just like having a whole apartment equipped with all kinds of comforts, for both pleasure stays and honeymoons and for business needs. 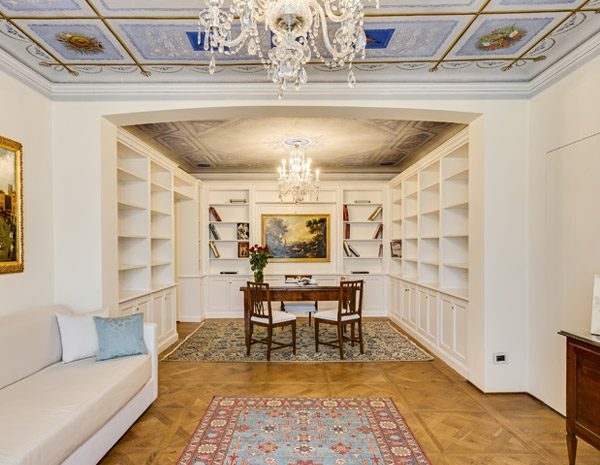 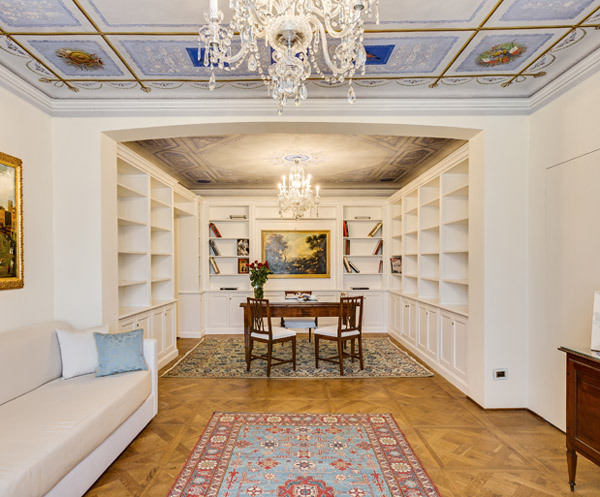 Indeed, the large living room with an inlaid table and a reading room of 32 square metres creates a space that, if necessary, can comfortably host confidential briefings and business meetings, or relaxing moments on the sofa in front of a 40” TV. 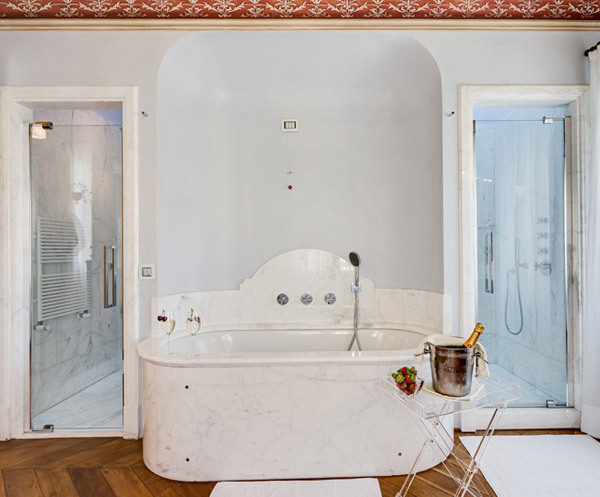 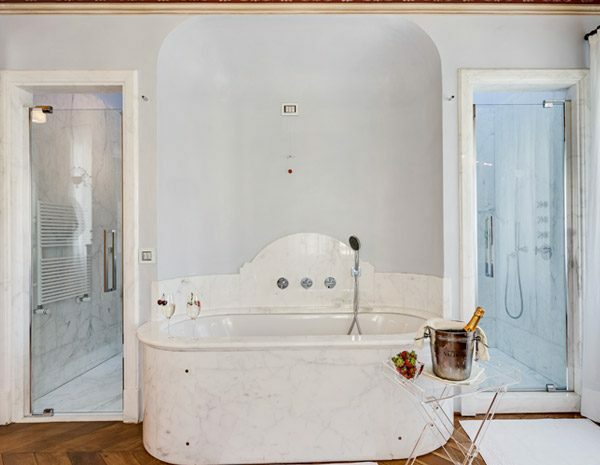 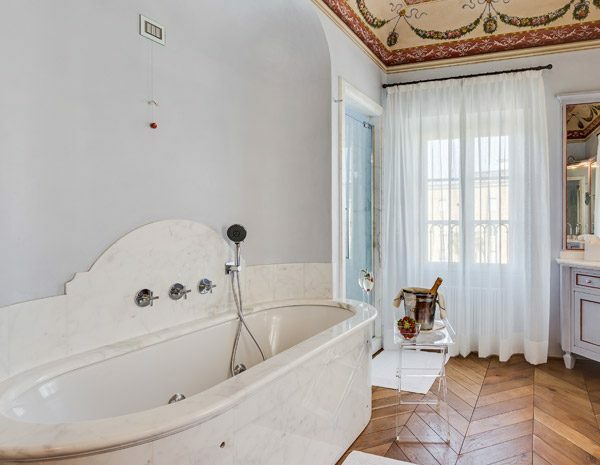 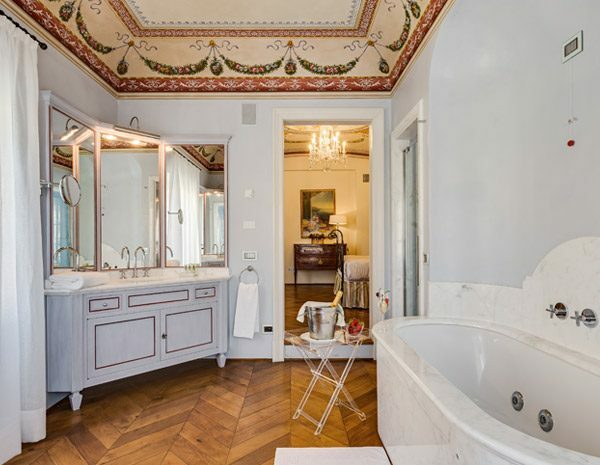 The elegance of this suite continues in the bathroom with double washbasin, where the refined finishes of the oval-shaped hydromassage tub lined in marble and the shower for two with water jets complete the picture of a stay at the highest quality standards, where nothing is left to chance. From the window, you can enjoy a glimpse of the Church of San Domenico. 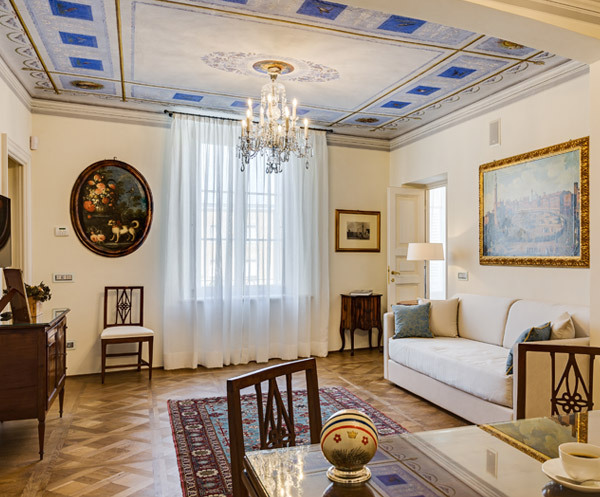 Lastly, the Diamante (Diamond) Suite can also host four people, as the sofa converts into a comfortable normal bed and an additional single bed can be added.